Not the LOCH NESS Monster! 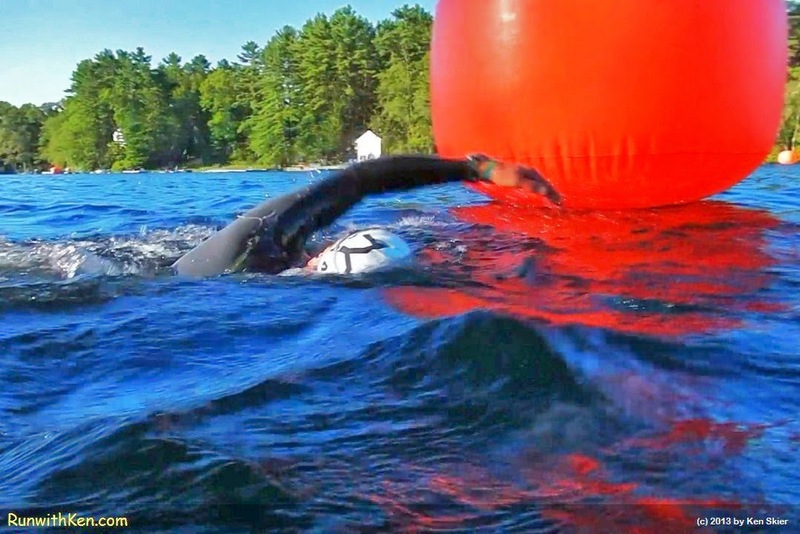 Open Water Swimmer at the Cranberry Sprint Triathlon--REACHING as he swims past the first buoy! in the Cranberry Sprint Triathlon. a weekend of races that also includes an Olympic-distance Tri. like the other athletes I was swimming as fast as I can. other swimmers as I was open water swimming, myself. (No, I didn't stop or slow my pace.